Pixel vs. Galaxy S7 Edge Video Camera Low-Light Test! 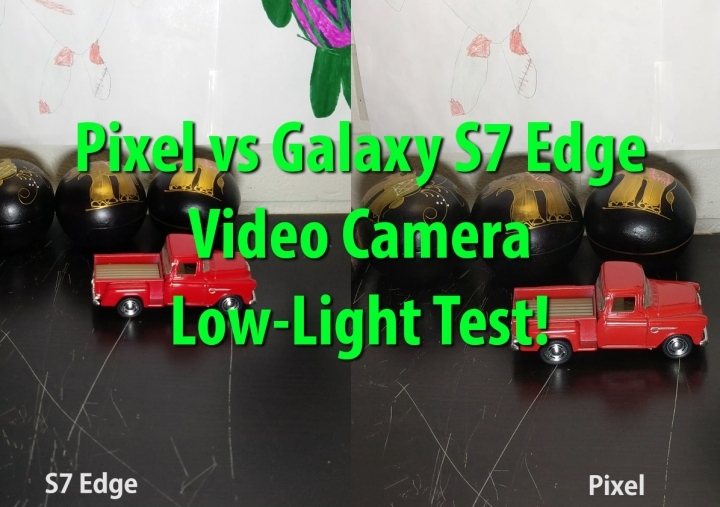 In this test, we compare the Pixel vs. Galaxy S7 Edge 4K video camera in low-light and see which one has less noise in different shades of low-light. The results? Very interesting indeed. Overall the Galaxy S7 Edge had much less noise in low-light situations while the Pixel was able to get more details. Since they were both on auto mode (as Pixel has no video manual mode), Pixel may have lost out this comparison due to the fact that it was probably using higher ISO. Neverthless, Galaxy S7 Edge 4K videos in low-light have much less noise and usable realistically speaking. For now, we will have to rate the Galaxy S7 Edge’s video camera much more superior to the Pixel for low-light. Next story The Truth About Google Pixel Camera HALO/Lens Flare Effect! Previous story Pixel XL vs Pixel vs Nexus 6P vs S7 Edge Screen-On-Time Battery Test!